Woodgreen completes another project for Asda at the Skelton Store. 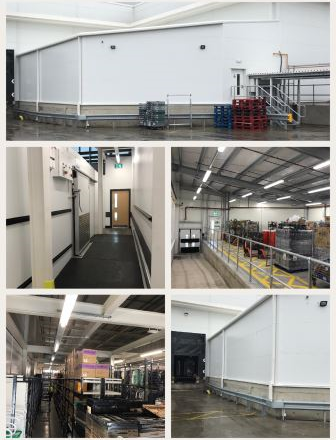 This scheme was a fast track, all-encompassing back of house project to the construction of a new extension to contain the relocated marshalling area, reconfiguration of the warehouse racking, creation of new frozen cold room, removal of scissor lift, and adjustments to the existing canopy between the home shopping and marshalling area. Services to be adjusted to suit including lighting, fireThe works comprised relocation of existing warehouse racking, new cold room, mechanical & electrical works, new marshalling area and civil engineering works to install the new recessed hydraulic dock leveller. The restrictive working space and restrictions inside the warehouse, necessitated an attentive approach to the phasing and coordination of the works.